The club says that it’s time for WA football to make a statement, and they want a big atmosphere. 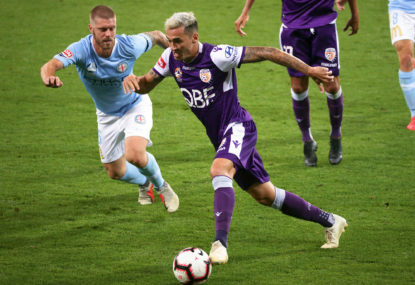 The actual game itself is one of the biggest of the season, as a win for the Perth Glory would secure them a spot in next year’s Asian Champions League. 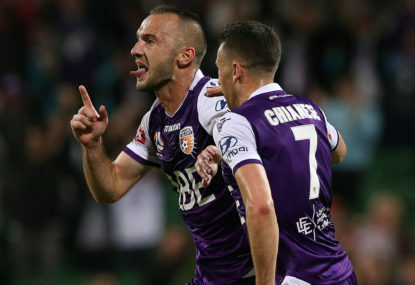 A win for the Melbourne Victory could potentially put them up into second if Sydney FC lose to Brisbane the night before, but they could also go four points behind with a loss if Sydney win that game. 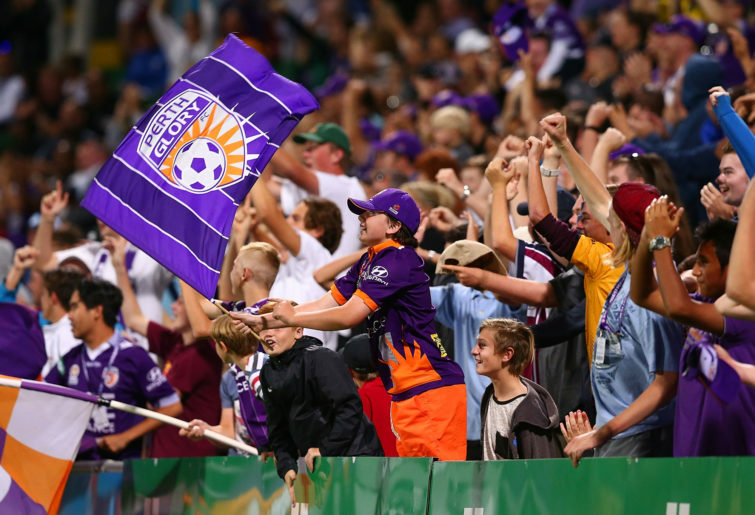 Many people have criticised Perth Glory’s crowds this year, especially on The Roar’s football tab and other places where football is discussed, although most aren’t from Perth. They just say, “Top of the league and only drawing 9500 a game”. From a Glory fan that does live in Perth, one of the main issues this year is the lack of advertising and media coverage. Channels Seven and Nine, who are the main free-to-air broadcasters, seem to have put the AFLW, NBL and AFL training first. One thing I found hilarious, but also rather sad, was the comparison between the back page of The West Australian, Perth’s leading newspaper, and The Advertiser, Adelaide’s leading newspaper. The West Australian’s back page consisted of 90 per cent AFL pre-season coverage despite the fact that the night before in basketball, the Perth Wildcats won the second game of the NBL grand final series, and in football, the Perth Glory beat Adelaide United 2-0 and moved closer to a first piece of silverware since 2004. On the other hand, The Advertiser talked about their football team, Adelaide United, even though they lost 2-0 to Perth the night before. Shows a lot, really. This issue is partially being fixed by the Glory doing three things. 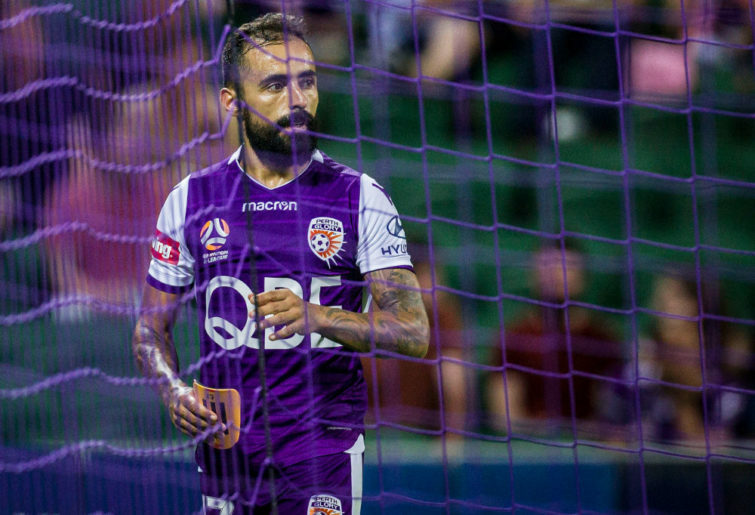 Firstly, the signs have gone up around the city advertising ‘the game of the season’ with pictures of both Diego Castro and Keisuke Honda, arguably the two best players in the A-League at the moment. The second thing is that the word has spread to Perth’s Japanese community, who would love to see Honda in action. The first thing that comes up on the website being an advertisement giving away ten sets of two free tickets to the match. And the final strategy is selling a free family pass at one of Perth’s biggest shopping centres, Lakeside Joondalup, with a juggling contest. Shane Lowry will be there as well. What better way to advertise a game than with a player doing it? So, the Glory are fixing most of the problems they have had. But there is still one problem: ticket prices. 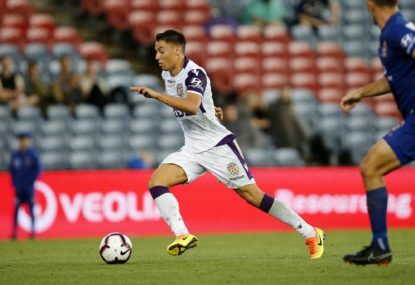 Currently, the Perth Glory’s ticket prices are the second highest in the league at $32.50 for adults, $27.50 for concessions and $17.50 for kids. The only club with more expensive tickets is the Western Sydney Wanderers at $34 for adults, $29 for concessions and $22 for kids. I guess we can now understand why the Wanderers have over 16,000 members but are only averaging 8500 a game. A recent Four Four Two survey suggested that the respondents’ ideal adult ticket price would be at around $20 per adult ticket, and 27 per cent of people stated that was one of the two reasons why people didn’t attend more matches. 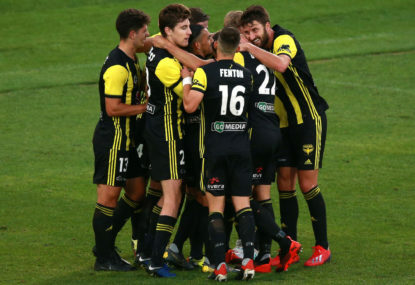 Currently the only team to be meeting that satisfactory ticket price is the Central Coast Mariners, who are selling $20 adult tickets, $15 concession tickets and $10 children tickets. This is a club on the bottom of the ladder and averaging under 6000 people per game, with an owner who accidentally owns the club after the rest of the consortium pulled out. Tony Sage also accidentally owns the club for the same reason. Yet the Mariners are still selling cheap tickets. So let’s say that it is financially feasible for the Glory to make tickets around $27 for adults, $13 for kids and $20 for concession at most. 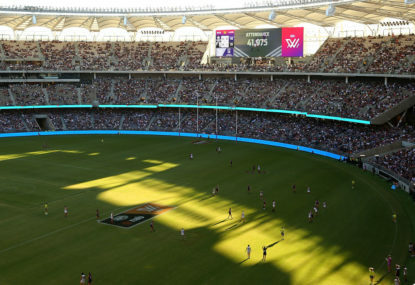 The only other hurdle that the Perth Glory have to overcome to fill HBF Park is that it is scheduled at the same time as an AFL match between the West Coast Eagles and the Greater Western Sydney Giants at Optus Stadium. The Glory’s CEO Tony Pignata stated that out of the club’s 10,000 members, a good 1000 of them are members of other clubs as well. A great read by Michael Comito in the Western Independent showed that out of a survey of 200 fans at the Glory’s recent home game, three per cent were members of the West Coast Eagles as well. One of them said that she would be going to the AFL because the West Coast Eagles would be unveiling their premiership flag before the match, an AFL tradition. So a rough estimate is 12,500 for a game against the league’s most supported club. The importance of this game could put it up to 13,500, the excitement created by the Glory could put it up to 13,750, the 250 or so that will go to the Eagles game instead could put it down to 13,500 again, then the Japanese community may put it up to 14,000 because of Honda. This is a respectable number, but cheaper tickets could boost it up by a lot. I’ll be there, so come on WA, lets fill the park and cheer our boys on to an Asian Champions League berth! Also I need to announce that because I have started live blogging on this site, I’ve decided to discontinue Riser Rankings.